Chapel Hill Shooting: Parking Dispute Or Hate Crime? 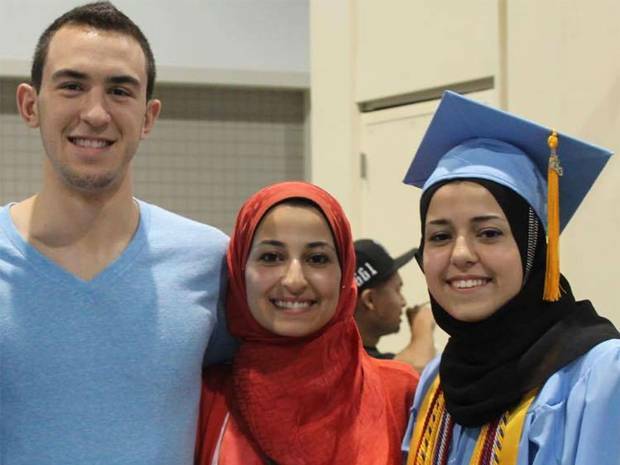 CHAPEL HILL: A family of three young Muslims has been shot dead in their home in a quiet neighbourhood of North Carolina in the US. Police have named the victims as 23-year-old Deah Shaddy Barakat, his wife, Yusor Mohammad Abu-Salha, 21, and her sister, Razan Mohammad Abu-Salha, 19. Officers were called to reports of gunshots at 5.11pm at an apartment block largely housing academics and young professionals on Summerwalk Circle in Chapel Hill. The victims were found shot dead at the scene, while some residents described not even being aware there was an incident until police arrived. Sources told local WRAL News that all three had been shot in the head. A 46-year-old man, named by police as Craig Stephen Hicks, has been arrested on suspicion of three counts of first-degree murder. Hicks appeared briefly in court Wednesday morning, during which he spoke only to answer that he understood the charges and to confirm an indigency affidavit. District Judge Marcia Morey said he would be appointed a public defender and held without bond until a 4 March hearing. Hicks described himself as an atheist on Facebook and posted regular images and text condemning all religions. Police said he handed himself in last night. In a statement released on Wednesday morning (local time), Chapel Hill Police said that a preliminary investigation suggested the crime was “motivated by an ongoing neighbour dispute over parking”. 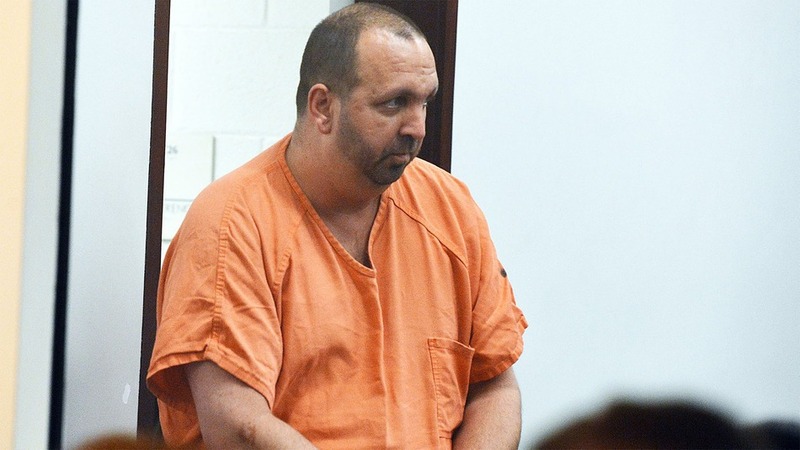 But the women’s father, Dr Mohammad Abu-Salha, who has a psychiatry practice in Clayton, told the North Carolina News and Observer that he believed the shooting was based on the religion and culture of the victims. “This was not a dispute over a parking space; this was a hate crime,” he said. “They were uncomfortable with him, but they did not know he would go this far,” he said. Police chief Chris Blue called the killing “senseless and tragic” and said the force’s “thoughts are with the families and friends of these young people who lost their lives so needlessly”. The shooting has been met with an outpouring of anger on social media, where people posting new pictures of the victims studying and playing basketball claimed they had been “murdered execution style”. Some compared the incident to the Charlie Hebdo shootings in Paris, and others called on Barack Obama and senior religious figures to condemn the attacks. An American football and basketball fan, Mr Barakat was believed to be a dental student at the University of North Carolina and volunteered with a charity providing emergency dental care to children in Palestine. UNC officials said Mr Barakat and Yusor Abu-Salha got married less than two months ago, in late December. She had been planning to begin her own dental studies in Chapel Hill this autumn. The three victims were recently pictured together at the graduation of Yuzor’s sister, Razan, who ran a blog showing her interest in photography and art. A community Facebook page set up in the memory of the three victims, called “Our Three Winners”, thanked people for their support and said it would carry “official announcements”. While it was not immediately clear if it was set up by the family, it carried news that funeral arrangements would follow pending an update from the medical examiner. Last night, police were forced to turn away people claiming to be family members at the scene of the crime, saying that they would not be able to confirm any more details until Wednesday. Kristen Boling, a UNC student who lives in the building where the shooting took place, told the Daily Tarheel she had been home since 3.45pm but didn’t see or hear anything until police arrived. The university reportedly put out an alert message to students last night saying that counselling services had been made available. “We know many of you may be feeling unsettled by this news,” it said.